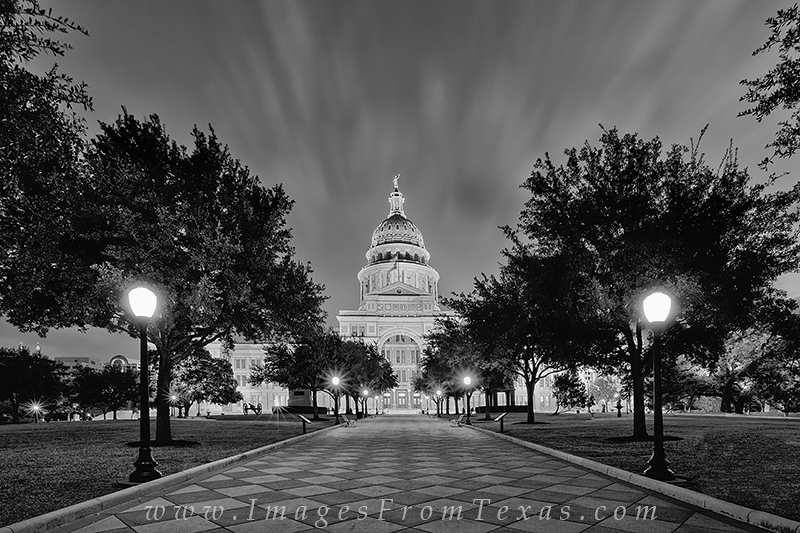 About an hour before sunrise, the state capitol in Austin, Texas sleeps under stirring skies. This long exposure attempts to capture the movement of the clouds over the building as the city still sleeps. Photo © copyright by Rob Greebon.